During the last story I said we’d talk about my #2 favorite Smallmouth bait. Most of you have seen and heard of sluggo’s. Those long thin plastic baits that resemble baitfish. I use the one’s made by Zoom company. They are called Bass Assassins. You can use any brand you’ld like but the Zoom baits look much more natural and match the baitfish better then other brands. As in my previous musings, color simply does not matter! Size, shape and presentation does! On those days the Bass are fussy( like after a cold front comes through) these baits have saved my bacon countless times. I use 5"when they are biting pretty well and if they are not then I downsize to a 4"or even 3". That usually does the trick. Lets look at the predator/prey relationship. Whether your talking mammals, reptiles, birds or fish they have some behaviors in common. All predators would rather attack the weak, the wounded, the young or anything that acts or looks out of the ordinary. My old friend Captain Chuck Duggins( a Maine Guide of some renown hereabouts) once wrote a story entitled, " If you want to be a better Bass fisherman....GET A CAT!" It was his way of explaining what makes all predatory critters act the way they do. Look at it this way.... You have a big old fat lazy Tomcat. You let him out in May or June when the weather is cool and things are just starting to warm a little. That cat of yours goes out hunting mice and such. 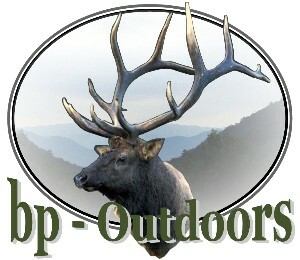 Well that old Tom has had a long lazy winter and can’t wait to kill something right? He’ll stalk for hours to get that mouse. He’ll go all over your yard all day hunting. He especially loves to find baby critters cause they are EASY to kill. If he sees something that’s been hurt or maybe is sick he’ll go a long way to attack his target. Fish( not just Bass folks...ALL fish) act the same. That’s why it’s easier to catch them early in the season when you have hungry fish and cool water. They’ll go a long way to get a meal. Now when you get into July and August it’s way too hot and uncomfortable for that lazy old Tomcat to go too far looking for a kill. He’ll hide under some type of cover and wait for his target to come to him. Remember he’s fat, old and been around too long to waste his energy chasing prey. He know’s that if he waits under that bush long enough that littlechickadee will come close enough that one swift leap and POW! It’s all over for the bird. Spring and early summer are great fishing because they’ve been hungry all winter and as the water warms their metabolism heats up and they go on feeding sprees. They need to eat alot to prepare for spawning and the water is cool and comfortable for them. But come July and August it all changes. The water is uncomfortably warm for them. The big ones are much harder to catch cause they are hiding out under some type of cover waiting for an easy meal. They aren’t going to go much more then a foot or two to attack that bait. So you need to know where they hang out on your favorite Bass pond. On any given body of water only about 10% is holding most of the fish. Target areas that offer lots of structure and cover. Work both sides of every point you come to. Rockpiles for Smallies and timber and weedbeds for Largemouth. You need to learn your body of water and when you do, go after em with my Zoom baits. The technique is different then what you have seen or read about with these baits. The book says use a big (2/0 or 3/0) bass hook that you bury up inside the plastic( much as you texas rig worms) . The big problem I havewith that is it’s very difficult to get a good hookset with that hook buried. This is my technique..... Use a #4 bait hook. Tie it directly to the line (use 12lb or less so the action works right) Then get yourself some small finish nails (brads work well) or they sell small thin weights just for this. Slide the nail into the head and push it in just past where the baits eyes would be. This isn’t much weight but it’s just enough to give the bait a headfirst slow fall. Slide that little hook in right where the eye’s would be and your all rigged up. 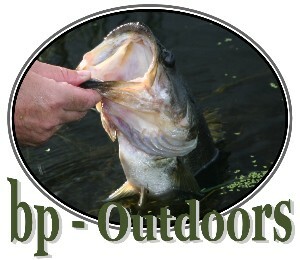 The reason for the open hook in the head is because a Bass does not get to be any size if it hit’s a bait from behind. They almost always hit from the side or more likely right square in the head. That is because if a Bass tries to eat something like a perch or sunfish( or any stickle back bait) from behind they would get the spines in the dorsal fins drove up into the mouth after which they bleed to death or die of starvation cause they can’t get that bait out of their mouth. So my point is that a Bass of decent size has learned to be smarter than that. You toss the bait out and let it fall.....you wait and wait and then wait some more( in extremely shallow water you need to do this a little quicker to avoid snagging on bottom). Then you give it a little ‘pop’. Don’t jerk hard just a little ‘pop’, then repeat. Have you ever seen a sick fish in an aquarium? They slowly fall and fall then all of a sudden they’ll swim for the surface for a second and then do the sick injured falling thing again. That’s what you are trying to imitate. You will be fishing on a slack line most of the time but that’s ok ....the Bass will hit it in the head and just about hook themselves every time! And the real bonus is that you will find 99 out of 100 hooksets will be right in the corner of the mouth. So now you have a great solid hookup into the bony mouth and it’s easy to release them unharmed. So remember....toss it out and let it fall....then a little ‘pop’ then a slow fall over and over. What usually happens is you’ll see your line take off side ways...just lift the rod and they’re on! All predators are genetically programmed to attack anything weak, wounded, young or out of the ordinary. They just can’t help it. So on a day that you favorite bass pond isn’t producing use this technique and you willbe amazed at the results. Stay tuned for the next column!